Convolvulus Arvensis, also known as bindweed, is stigmatised as being a nuisance by growing across garden fences and choking off the immaculately pruned flowers. But no one thinks about the beauty of the bindweed, opening their trumpets to the world, shouting to be heard. Is this not the state of publishing today? The neatly manicured, artificially honed flowers, given all the prestige, while the others are left to wilt? If you are a bindweed flower trying to grow, see our Submission Guidelines and make the world your fence. What is Bindweed Magazine all about? Bindweed Magazine aims to publish quality poetry and fiction as an Ezine on the WordPress homepage. Issues 1-7 showcased each poet and writer for 4 days; from Issue 8 onwards, the publishing schedule may be once a week. All work will be archived on the Ezine under each issue. Work may later appear in a print anthology; writers will be notified if/when this happens. If a print anthology is published, contributors will receive a free PDF, or can buy a print copy for a low price. Why did Bindweed Magazine come about? So many magazines these days, both online and in print, are becoming defunct. 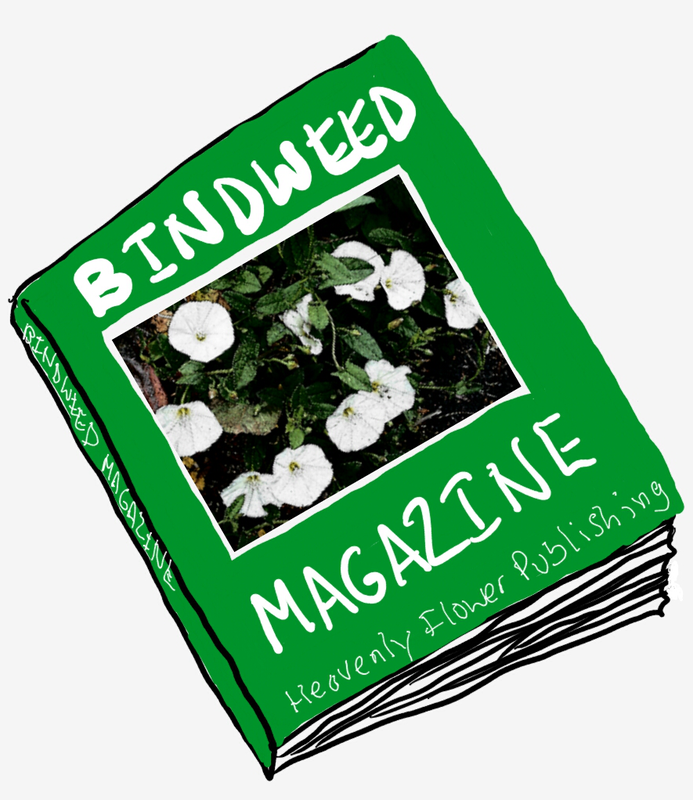 Bindweed Magazine wants to be another platform for authors to market their work. It’s a labour of love. It’s all about the craft here at Bindweed; you won’t get paid (sadly), but you’ll get promoted nonetheless! Where is Bindweed Magazine based? If it has flowers, it’s not a weed to me.